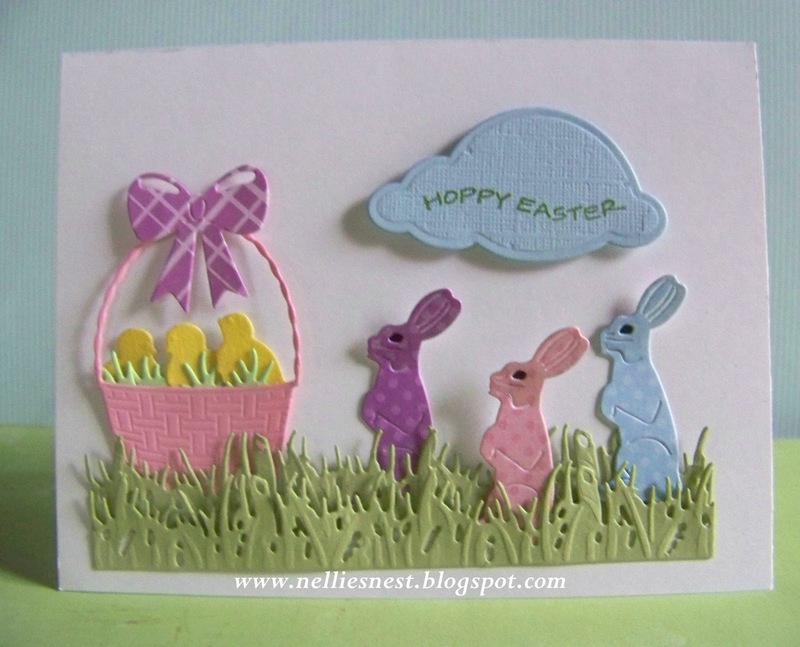 Today is my first Easter card for this year! and I have a few fun ones to show you. bunnies and chicks make great baby and children cards! My first thought was a bit of 'Easter grass". (slightly different from what I have used). and there are several choices! cut from Frantic Stamper Easter Icons. Notice the bow on the basket? That die is part of the Easter Icons set!! but if your type in "BASKET"
you will have a beautiful selection to choose from! and it comes in two sizes for one price!! I filled my basket with grass from Impression Obsession Mini Bunnies set. 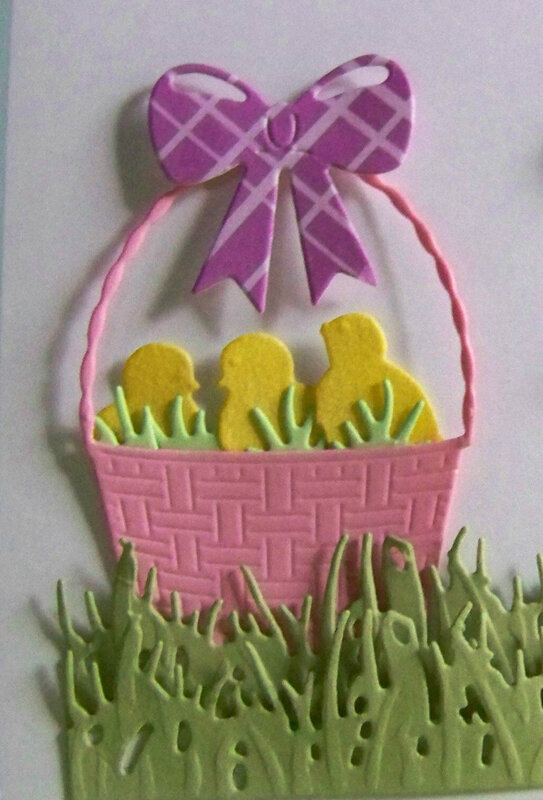 The grass is included with the bunny dies and can be cut separate. I also added Memory Box Baby Chicks to the basket. These were cut with a 'velour' paper and are 'fuzzy' in 'real life'. then cut it out using Impression Obsession Clouds. I hope you have enjoyed my fun card today! to the store, plus see all the Design Inspiration there as well! !